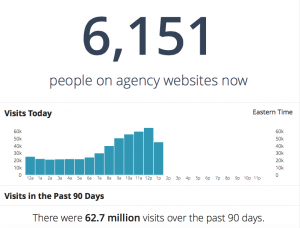 How Many Page Views Does Each Federal Agency’s Website Get? The original DAP page offers a dashboard with analytics from 39 Federal sites. The analytics for all of those sites, however, are aggregated and not broken down individually. Let’s look at an example of a new DAP Federal agency analytics page. Below, this portion of the dashboard shows the number of visitors currently on the NASA site. It also gives an hourly breakdown of traffic for that day in bar graph form. Next on the NASA dashboard is the “Visits in the Past 90 days” portion. 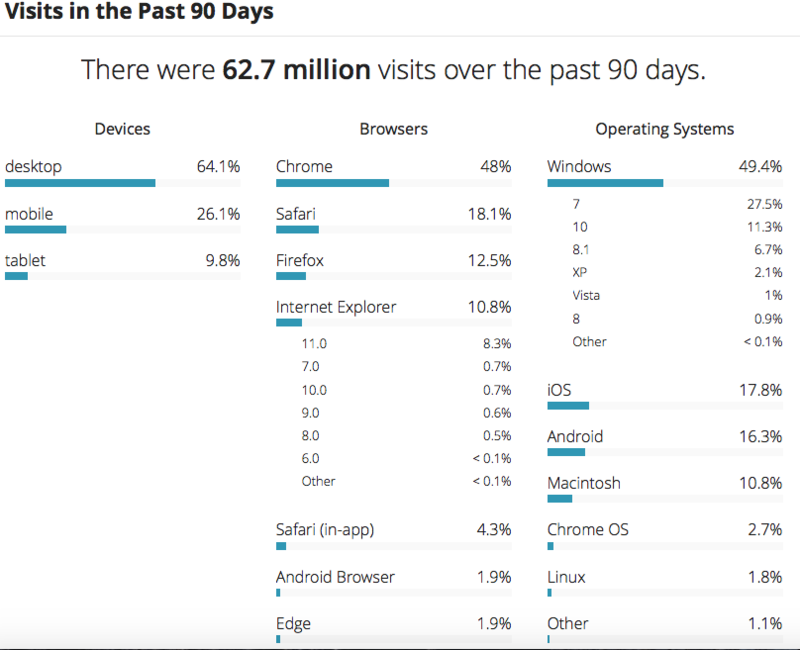 It gives a percentage breakdown of visitors by their devices, browsers, and operating systems. 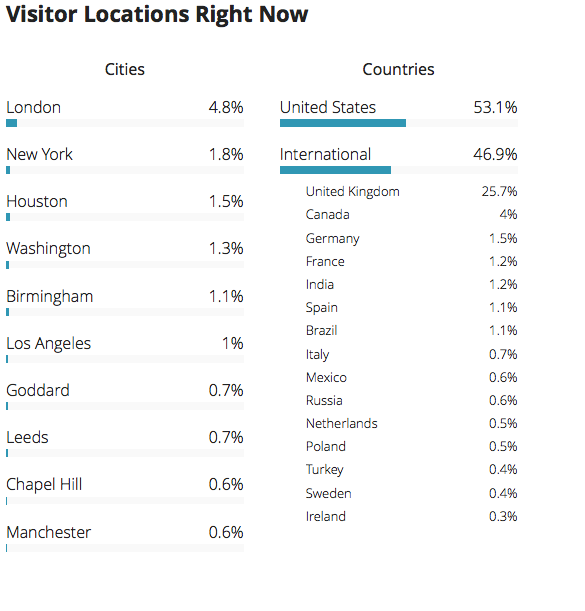 The bottom third of the dashboard provides city-by-city and country-by-country analytics for the NASA site. 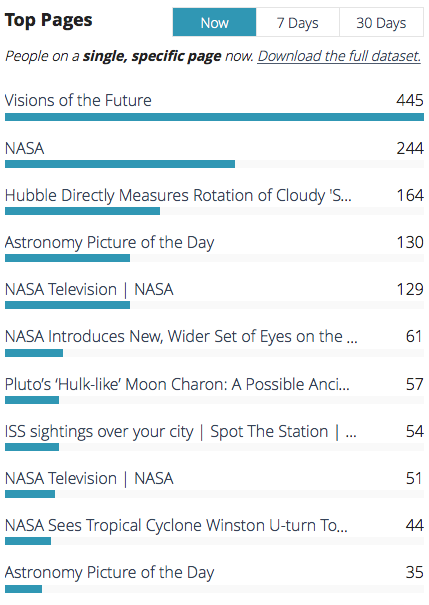 Lastly, this right column displays the top pages within the NASA agency site at the moment. The “7 Days” and “30 Days” tabs track visitors to the entire NASA site within those time frames. According to its website, DAP collects analytics from 4,000 websites. DAP calls these first 10 Federal pages its initial “batch,” and it hopes to include more Federal agencies in the future.